A new partnership between supplier management platform SupplyShift and the social enterprise Ulula will allow companies to gain better insight into how workers are being treated in their supply chains — something that could help improve workers’ rights and reduce forced labor around the world. While many in the corporate world are well aware that labor abuses including human trafficking,child labor and other forms of modern slavery are rampant in supply chains across industries — the International Labour Organization estimated in 2016 that, at any given time, there are 24.9 million people around the world in forced labor — getting data about how prevalent these practices are across a single company’s supply chain remains a challenge. This partnership aims to address that by bringing together two very different entities. Ulula is a new company, focused on creating more transparent and ethical supply chains through technology. It gathers data through anonymous, user-friendly interfaces, mostly via the mobile technology that is accessible to workers around the world — adding to the arsenal of tools such as Ganaz, LaborVoices and Laborlink that leverage workers’ smartphones to help hold companies accountable through direct worker feedback. Meanwhile, SupplyShift is a large, established company; its comprehensive platform allows companies to analyze their entire supplier networks, with the goal of both increasing efficiency and reducing risk. Adding in data from Ulula allows SupplyShift to provide a better product for their clients. “The data from Ulula integrated into the SupplyShift supplier network enables companies to make informed decisions when prioritizing suppliers whose business ethics match their own commitments,” Bob Young, VP of Commercial for SupplyShift, told SB. The next step for Ulula and SupplyShift will be to create products that better match customers’ needs — and help get needed data about potential labor risk into the hands of the right decision-makers. For SupplyShift, the goal is to make it as easy to make supplier decisions based on labor risk as it is on most commonly accepted business criteria. “The ideal use case for the SupplyShift/Ulula data and technology is to provide an integrated view of all supplier data – at all levels – that is used by procurement to guide purchasing decisions alongside usual criteria such as price and quality,” Young said. 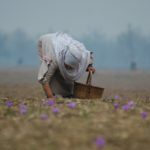 While it will take real, concerted effort to reduce the number of people trapped in forced labor situations around the world, making it easier for companies to make the right decisions — and allowing for those decisions to be driven by real-world data — could go a long way towards the goal of fully ethical, traceable and sustainable supply chains. Ulula and SupplyShift’s partnership is another tool in the arsenal of a socially sustainable business.